For many, or maybe for most people, Memorial Day means picnics and the start of the summer season. Yesterday, with the first summer-like weekend since, well since last summer, we went in to Boston to walk around and soak up some sun. As we usually do when we don’t have a specific agenda, we drove in to the City and parked in the underground Common garage. Looking to to right as we emerged, I couldn’t help notice a crowd gathering at the foot of the rise that starts mid-Common. And then we saw why. If you have ever been to Boston Common on a weekend – a good weather weekend – it is teeming with people. Families on the carousel, splashing in the frog pond, softball and baseball leagues playing. It is not a quiet place. But on this day, in this place, hundreds of people walked to the perimeter of this memorial Flag Garden without speaking a word. 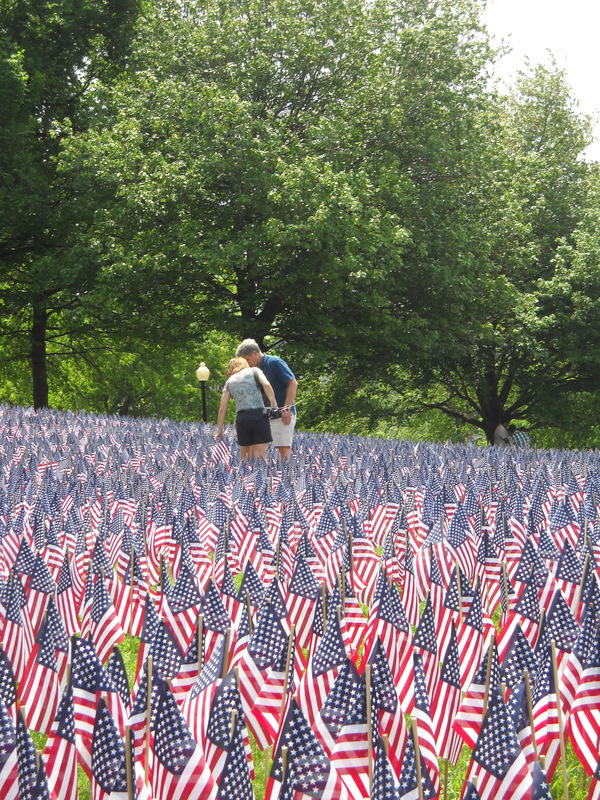 The 20,000 flags placed on this hill are in memory of those who served and died in every war since World War I. 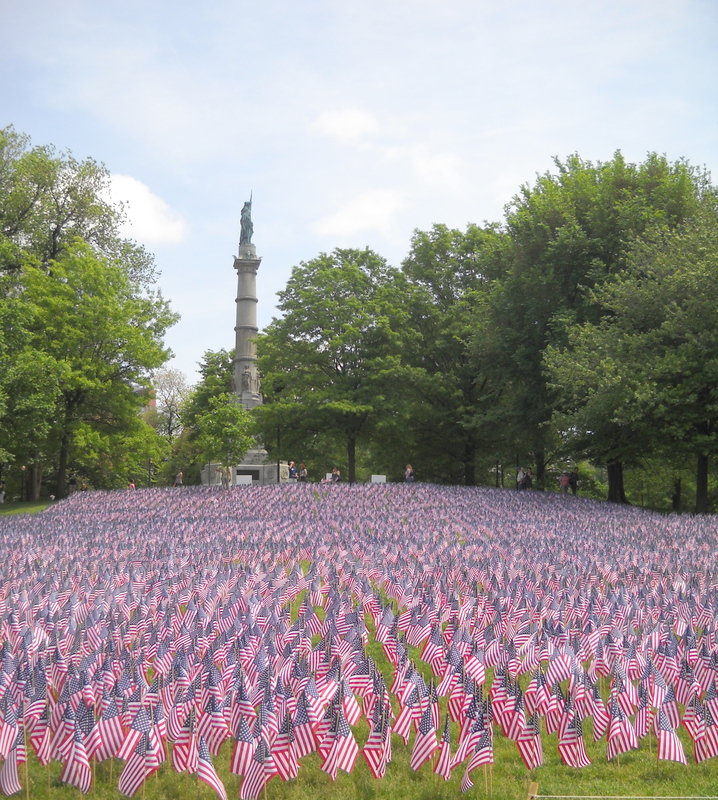 The Massachusetts Military Heroes Fund began this project in 2010. Hopefully will continue it each year.